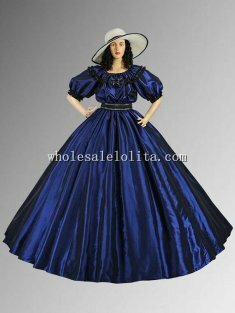 Are you ready to look like a regular Southern Belle at your next historical event? 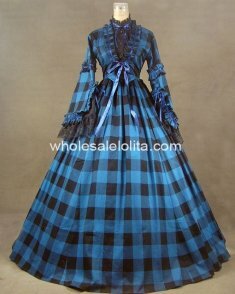 You would look stunning wearing one of Wholesalelolita’ Civil War dresses. The Civil War was an incredibly important moment in America’s history. Almost every person living in the United States knew someone fighting or who had passed away during the war. The style of Civil War era clothing is one of the most quintessential looks of the entire Victorian period because it happened right in the middle of the era and because it embodied many of the fashions seen throughout the area. Civil War dresses were characterized by hoop skirts. 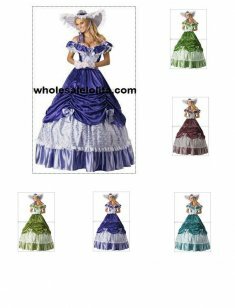 In fact, Civil War ball gowns had some of the widest hoop skirts of the era, and the skirt itself could take up more than five yards of fabric. Along with a hoop skirt, most Civil War dresses were worn with a corset, which cinched in the waist. Finally, crinolines were also a necessity for Civil War dresses. Crinolines were stiff petticoats that helped support the skirt of the dresses. For as extravagant as the Civil War dresses were, wealthy women would change sometimes five times a day as a way to demonstrate their wealth. Browse our collection of Civil War dresses below to find the one that is perfect for you. 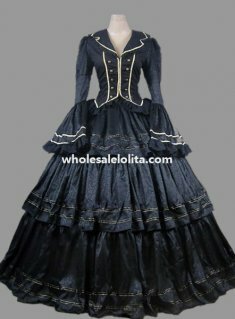 We sell separates like skirts and jackets as well as full Civil War ball gowns. We also have all the accessories you need, like gloves and jewelry, so that your look can be complete. Our Civil War era clothing will have you looking like you just walked off a plantation in no time.